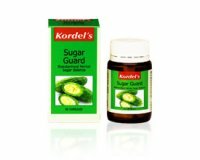 Kordel’s Sugar Guard contains the synergistic combination of two herbs, Momordica charantia (commonly known as bitter melon) and Gymnema sylvestre that assist in maintaining healthy blood sugar levels. 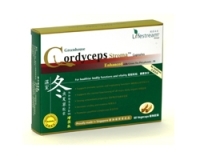 Take 1 to 2 capsules 3 times a day, after meals. Diabetic on medication should consult their doctor before the use of Sugar Guard as dose adjustment of oral hypoglycaemic agents and insulin may be necessary.